Attempting wheelies, jumps and other stunts. Never attempt wheelies, jumps, or other stunts. Failure to inspect the ATV before operating. 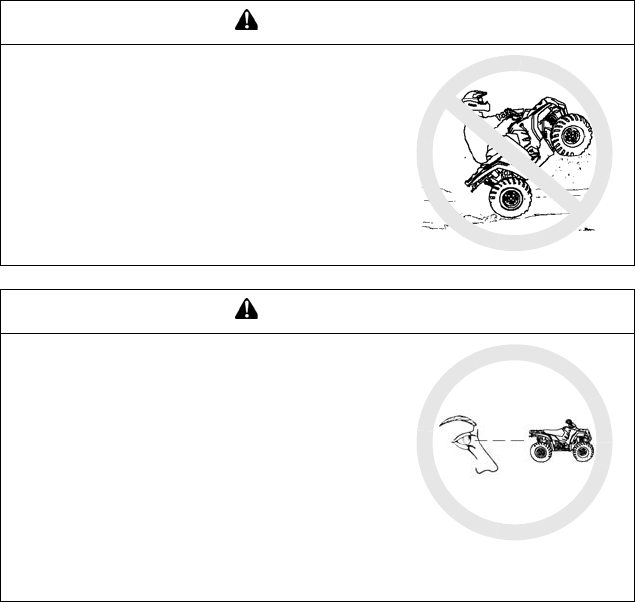 Failure to properly maintain the ATV. an accident or equipment damage. make sure it&apos;s in safe operating condition. procedures and schedules described in the owner&apos;s manual.